The Weir family originally came from Leadhills. Extracts from the 1841 and 1851 Leadhills census are included. In 1851 James Weir and his family lived at the Woodhead leadmine in the row of houses known as Weirs Row. 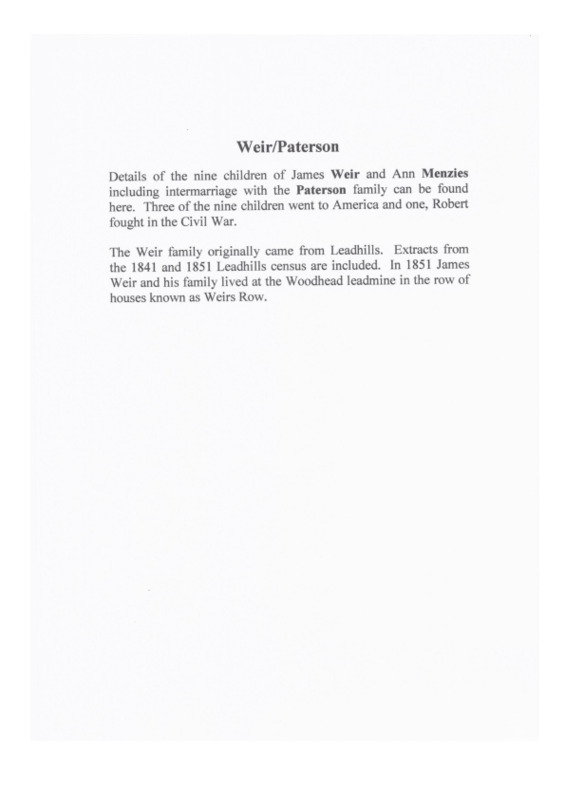 IS, “Weir/Paterson Family History,” Carsphairn Archive, accessed April 20, 2019, http://carsphairn.org/CarsphairnArchive/items/show/106.